Don't Blame the Glock | Eagle Gun Range Inc.
How do I apply for my LTC? Last year, the L.A. Times published an op-ed by Bearing Arms editor, Bob Owens, wherein he hung the litany of plain human irresponsibility and resultant failings squarely around the neck of an inanimate object: the Glock pistol. Owens blamed the Glock’s “short trigger pull and lack of an external safety” mechanism for the many injurious and lethal instances of human negligence demonstrated by law enforcement officers. Owens is entirely and demonstrably wrong in this assessment, and for very simple reasons that this article will examine. Oddly enough, even his first two anecdotes are from New York, where the Glock trigger is required to be 12 lbs. ; more than twice as heavy as the stock 5.5 lb. Glock trigger weight. Barring malfunction, safety is dictated by the human who uses or operates a device, no matter what that device is. There is no such thing as a safe or unsafe pistol and no amount of extra, external mechanism applied to a Glock or any modern pistol can render it “safe” in the hands of an incompetent or complacent operator. A person is safe or unsafe and this fact governs all manipulation and operation of firearms. Firearm safety is defined not by mechanisms, but by adherence to four simple and inviolate rules. Always treat every firearm as though it is loaded. Never let the muzzle cover anything you’re not willing to destroy. Keep your finger outside of the trigger guard until your sights are on your target and you’re ready to fire. Always be sure of your target and what is beyond, in front of, and near it. These are lifesaving rules. Those who don’t adhere to them actively put lives in danger due to their own negligence. For those who adhere to these four simple rules, destructive negligent discharges (there are no accidents) are impossible AND THEY NEVER ENDANGER OTHER LIVES. The Glock pistol is something of a marvel of engineering simplicity, safety, and reliability. It can remain functional under horrible conditions and it will not fire—is incapable of firing—unless someone or something physically presses the trigger to the rear. There are two internal safeties and one external(ish) trigger-safety on a Glock. 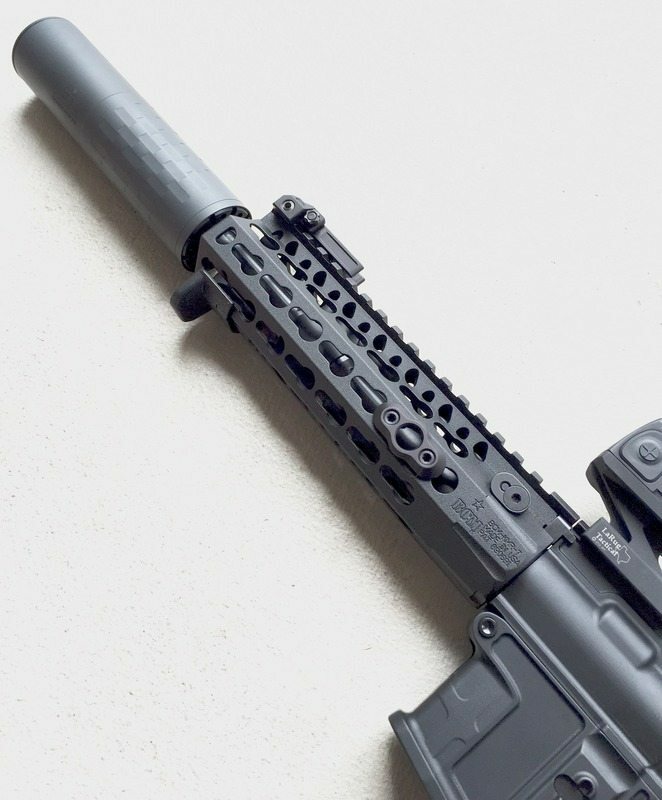 Together, these safeties prevent jarring or inertia from sending the trigger to the rear position and prevent the firing pin from being released due to an action other than physical, from-the-front trigger press. These ingenious features ensure that a Glock pistol won’t fire if shaken, dropped, or thrown. Minimum requisite competence would have prevented both of these negligent homicides. “With his finger on the trigger…”? Any law enforcement officer so negligent as to do anything with his or her finger on the trigger other than aim and deliberately fire at their target is unfit for duty. No exceptions. 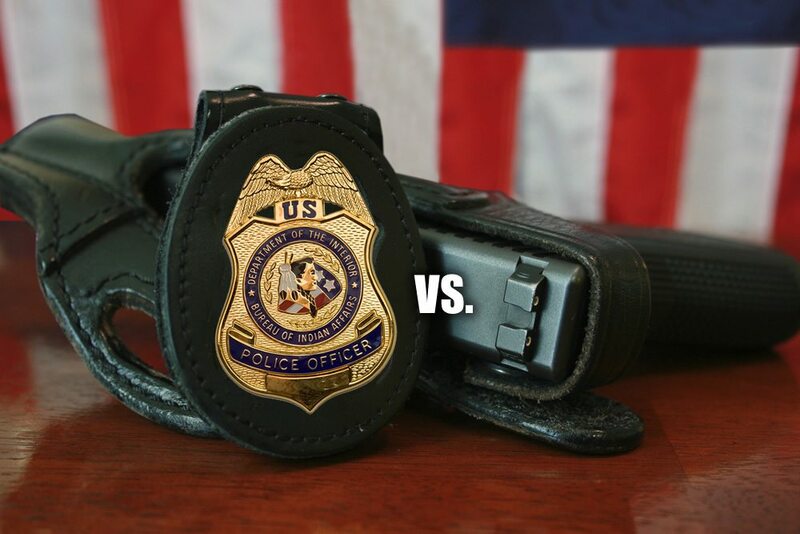 The officer should be required to train and develop safe habits until such time as he or she can demonstrate a habitual adherence to the four rules of firearm safety before being allowed on duty beyond the desk. No exceptions. This is no obtuse requirement. I spend time every week with ordinary citizens who are, by habit formed through responsible training, virtually incapable of unsafe firearms manipulations. In the classes, training, and competitions I frequent, things go awry and unexpected, startling things happen with regularity (sometimes even by deliberate plan of the instructor or participants in order to elicit a startled response for training purposes). These ordinary citizens who have trained sufficiently respond safely every time. Even if they bungle what they’re trying to do, they maintain safe control of their weapon, by involuntary habit. On the range and while hunting, these ordinary citizens are expected by everyone present to behave safely and safely control their weapon. If an ordinary citizen can be expected to live up to this minimum requirement and successfully meet it, so can any law enforcement officer. It’s not rocket surgery, it’s something that comes with responsible training and it’s an inviolate requirement for anyone who handles firearms—law enforcement officers, especially. Sadly, the typical law enforcement officer is dangerously complacent and habitually unsafe with firearms. And for good reason: they seldom train with their duty weapons. Ask any police officer and they’ll almost certainly confirm that police officers, on average, shoot only 100 to 500 rounds a year with their duty weapons in training and qualification. In other words, virtually no training at all; no expectation by peers for safe manipulation; no safe habits given a chance to develop. I’ve seen these habits in almost every police officer I’ve ever spent any time with. Of all the officers I’ve seen handle firearms, out of fifteen or so, I’ve only seen one do so safely. One. By no coincidence, this one officer has done a lot of training at the range—both the static and tactical sort of gun range. By contrast, the many folks I hang out with on a regular basis—most of whom are not competitive shooters—are at the range every month at minimum and often every week. The fact is you cannot learn the four rules of firearm safety. These are not things that you can ingrain into your habits by reading or verbally repeating them on a regular basis. The only way to become safe with firearms is to handle, manipulate, and shoot firearms around other people on a regular basis over an extended period of time, in an environment where one is watched and firmly corrected by others for safe-handling violations. Only in this way can safe handling become habitual and automatic, and govern how one responds without thinking, under stress. I know this fact from experience. And so does every other safe individual on the planet. In a healthy environment, like a public or private gun range or while on a hunt, responsible shooters will not tolerate someone who is unsafe with arms. They’ll either actively enforce correction or require the individual leave the premises. But one cannot learn to develop safe habits without continual exposure to this kind of environment and these uncompromising expectations. Police officers seldom if ever encounter such requirements; by choice! And this negligent choice is entirely why they shoot people they don’t intend to shoot. Many police officers and apologists for negligence cite cost as a prohibitive factor to responsible training. It’s a fool’s excuse. A box of 9mm training rounds costs about $14, about the price of lunch and a coffee. A box of duty rounds costs about $20 to $25. There is no reason that an officer can’t spend that $14 a week and perhaps the duty rounds once a month. Doing so would allow him or her to have regular, ongoing experience handing, manipulating, and firing their weapon in the presence of others. This is a flat out lie. An inanimate object cannot be “accident prone.” Even Mr. Owens’ use of the term “accidental discharges” shows that he fails to understand the difference between an unpreventable incident and human negligence. A mechanism that is incapable of discharging without trigger press can in no way contribute to any shooting action. Note that the negligent officer in this example willfully broke every single rule of firearm safety. This fact, and the fact that he failed to check the chamber and clear the weapon first (something every safe handler does habitually), is why he shot his fellow officer. It was no fault of the pistol; it was individual negligence due to unsafe habit. Humans behave according to practiced habit in all but the most comfortable settings. There is no pistol, no mechanism, no plan that can prevent untrained, unsafe human beings from acting in negligent fashion when under high stress and holding a firearm. The formation of safe, automatic habits through training is the only mitigation. Mr. Owens is irresponsible to suggest otherwise. Of course these inept and negligent officers are unaware of their unsafe tendencies. That’s what training is for; to make an individual aware of and to correct all unsafe, useless, and ill-advised habits and replace them with proper ones so that safety becomes habitual and automatic. Mr. Owens cites the fact that ~20% of LEOs put their finger on the trigger of their weapons when under stress. And yet, he blames these officers’ negligence on the pistol itself, despite the fact that it’s a clear violation of rule number three. Any officer who wants to be “ready” for whatever happens will also disengage a safety on their weapon, by habit. Else, they’ll die as they squeeze the disengaged trigger when they need to defend their life or the lives of other innocents. Suggesting or believing that officers will keep the safety mechanism engaged while they’re nervous or under stress is ridiculous. Moreover, they should not. Instead they should safely and effectively handle their ready-to-work firearm, safely ready to defend themselves. Here is where Mr. Owens goes fully negligent himself. He actually recommends that training be ignored and replaced with complex mechanism. The only actually brutal reality made clear by Mr. Owens’ examples and the mountain of similar real-world evidence is that, by and large, police officers are negligently undertrained and habitually unsafe. Put any firearm in the hands of an unsafe man and the lives of everyone around him will be in danger. Doesn’t matter what quality or feature the firearm possesses. Unsafe people shoot people they don’t intend to shoot. That is the only relevant and inescapable fact in any of this business and it is that fact that should be addressed. No exception. Andy Rutledge is a design professional, competitive shooter and avid road cyclist. He trains at Eagle Gun Range and elsewhere a few days a week to hone his shooting and defensive skills. Unfortunately you are correct. In each of these cases the officer failed to properly handle their weapon. While we have all made mistakes those of us who strive to improve learn from our mistakes rather than blaming our weapon for our own shortcomings. Glock, Colt, Rueger, whatever brand you pick, if you Pl the trigger on a loaded weapon it will fire. Would an electronic “training round” that makes a loud noise or “BANG” when the Glock trigger is pulled be useful? That way Glock users could train clearing their weapons with a “live” training round in the chamber. I agree 100%, LE Officers do not get sufficient firearms training. My whole career in LE I carried S&W Model 10 (later the SS version). I loved my G19, but I could never get used to the trigger. As I get a little younger every year I decided to go back to my roots, the DA Revolver. I train shooting it DA and I’m almost to the point I can shoot it DA at 10 to 15 yards as accurately as SA. I know if you don’t pull that trigger it’s not going to go Bang !!! I never had any problems with my G19 with unintentional discharges, but I never felt safe carrying it with one in the chamber.